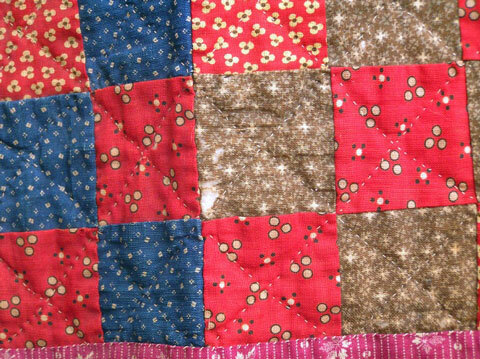 This doll quilt is made from some very wonderful 1850-60’s calicoes. 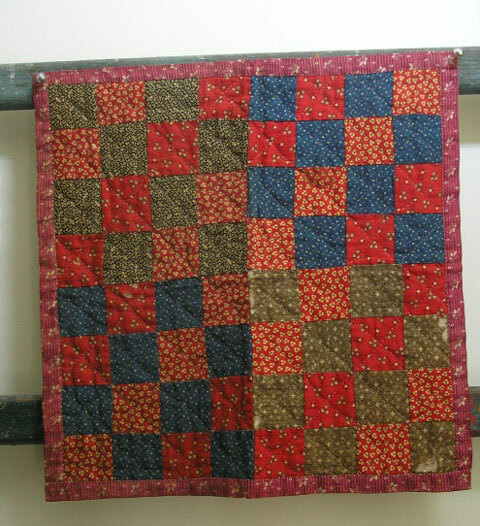 Measuring 15 inches square, it is entirely hand quilted. 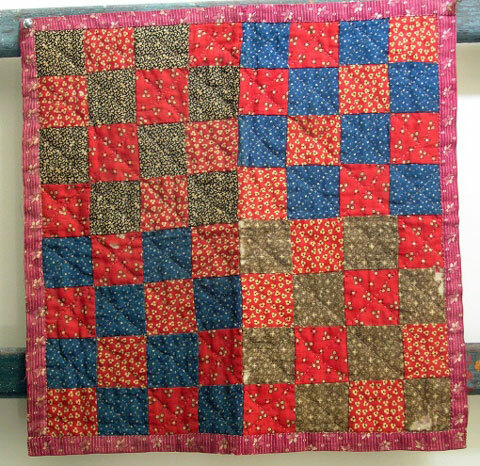 The cotton batting is showing through in 4 of the brown squares and one of the red ones, but overall condition is very good. 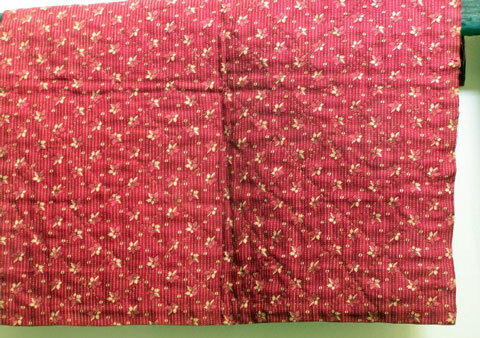 This one is quite striking and graphic, and a small sampler of some fabulous fabrics. It was found in a house in Kutztown, PA.